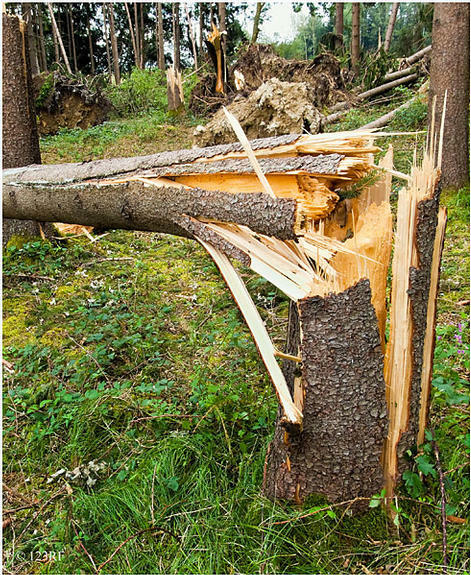 RDP support to help a local forest business restore its full potential economic activity following damage to the trees by a severe storm. In August 2010 a storm hit Janos Sarmons’ 60 hectare forest holding in Ievlīči. Two hectares of trees had been destroyed by windblow. The forest advisory services explained that RDP funds were available for forest restoration and the application process was straightforward, so Mr Sarmons decided to use this opportunity to replant the damaged part of his forest. Mr Sarmons is focused on the long-term sustainable management of his forest, and after the storm his priority was to clear and replant the area where the trees had been blown down, as quickly as possible. At the same time he wanted to make the forest more resilient to wind damage in future, so he used a mix of two different species, transplanting the very young trees from an undamaged part of the forest where they had grown naturally from seed. The fallen and damaged trees have been cleared and the land is being replanted with a mixture of spruce and birch, over three growing seasons. RDP funds helped to obtain the replacement trees, as well as plant and look after them. For the first few years it is important to clear away overgrown grass and bushes around the young trees, to give them space and light to grow. Mr Sarmons is very pleased that he has been able to replant the windblown area so quickly, minimising the impact that the storm had on the long-term future of the forest's productivity. Planting a mixed stand, rather than just one type of tree, means that the forest will be better able to withstand storms in future. When the site was cleared, much of the damaged timber was fit only for firewood, so most of its value was lost.The RDP funding helped to make up for some of this loss. Relatively small sums of RDP funding can make big and long-term differences to local businesses in rural areas. Because the RDP funds are not released until the new trees become established, Mr Sarmons initially has had to fund all the work himself but he was able to offset this cost through the income he raised from selling the windblown timber he had cleared off the site. Mrs Mairita Bondare: Head of Madona–Cesis department, Latvian Forest Advisory Services Centre.